GFS 18z really going IN on the second warming displacing the Polar Vortex further to North America. Still no sign of a split on the model. If this were to happen would it power up the Jet stream and continue to throw low pressure systems in our general direction? The first appearance of the -20 isotherm has now moved up slightly to 7PM on December 20th, as per tonight's FV3 18Z. If this continues, a warming event of some kind will have cleared FI and entered the reliable timeframe in just two days, or specifically by the time Monday night's 18Z and 0z are rolled out. Whatever the eventual effects of the warming, it's getting very hard to imagine that this could fall apart before clearing FI. FI is always dodgy, yes, but this warming event has been extraordinarily consistent for almost a week, now - and the only changes the FV3 has made over time have been bringing it slightly earlier and intensifying it. The strat isn't my area of weather knowledge, but given the ongoing consistency in both GFS models, I'd be hugely surprised if a warming event didn't take place beginning at some point between the 20th and 22nd of December. Still no sign of a split on the model. Obviously you know far more about this than me (or most likely anyone else on this forum), but just looking at the GIF you posted, in the last few frames it looks to me as if the edge of the warm blob is trying to extend directly into the centre of the cold blob - see the "pointy" edge of the boundary between the two, encroaching on the edge of the cold blob - could this be the very beginning stages of an attempted split? Last edited by hatrickpatrick; 14-12-2018 at 00:14. It's really a case of wait and see. All we know right now is that the UKMO Glosea5 is going for a split. Still no sign on the GFS today so far but it continues to emphasise that second warming displacing the Polar Vortex into North America although not as extreme of a displacement as the 18z was. ECM starting to come into view. Not totally sure if it's as straightforward as that. All we can say is that displacements are the less favourable type to delivering high latitude blocking on our side of the pole. Your man over on netweather, GP, does not forsee a split taking place till mid January on wards, this is broadly in line with the glosea model, which seems to have a better handle on these things than the GFS. As regards a displacement lets hope we get lucky and a lobe of vortex does not end up back in Greenland. It is going for an even more extreme secondary warming, again up to 12c in the strat. Last edited by Artane2002; 14-12-2018 at 19:41. Sorry to have to ask this, but how high did the temperature get at that level (10hpa)during the second warming last Feburary? I think it got to 0c but I'm sure someone like Sryan can confirm. EDIT: Just seen you said the second warming, can't answer that with much confidence. From what the archive charts show, it got to -16c but I dunno if that is really what happened. Yeah, if i remember correctly, there were two warmings-the second one was even more significant than the first one- in fact without it we might not have gotten the beast from the east. I think there may have even been a third warming. If we do get a SSW, then that would be our 4th one in a year! Are we more likely to get SSW during solar minimums? That is a good question. I am not sure what the answer, I'm not even sure if there's a correlation with SSWs and solar minimum. However, transitioning from easterly QBO to westerly QBO does increase the chances of a SSW, like this season. GFS(P)/FV3 going for a split at the end of 00z - but the Trop charts are bleak across the board this morning though, No sign of any Strat affects on either the ECM or GFS. Expect the Model output for the Troposphere to improve rapidly, I'd be a bit shocked if they don't change to a more blocked outlook in the next few days. I'd have to kinda disagree with you there. I do not expect to see any tropospheric responses on our side of the pole until at least another week and even then, the tropospheric response would appear way into Fantasy Island stages. Let's look back at February 2018 for comparison sakes. 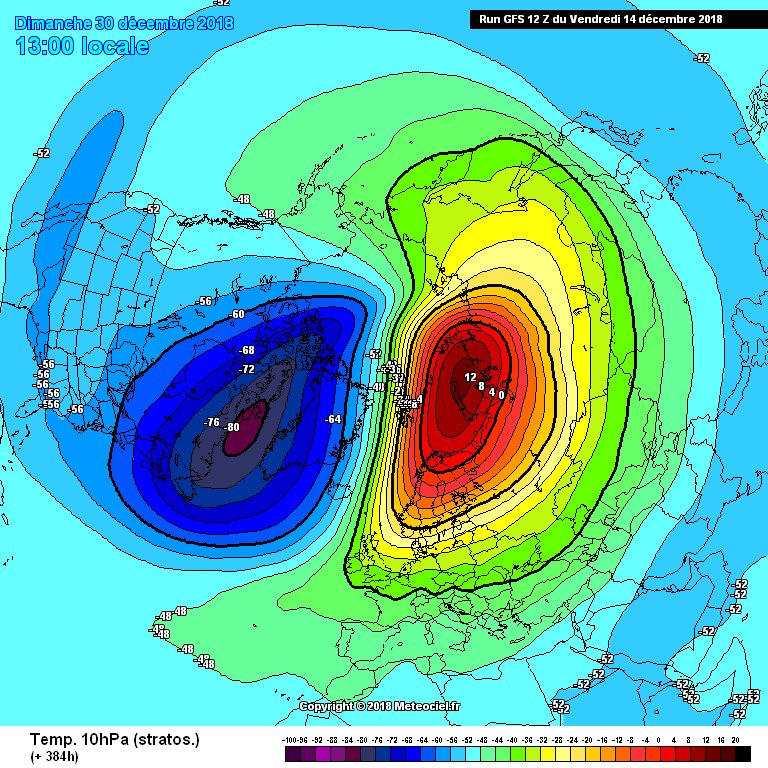 The warming of the stratosphere began to show its hand on the GFS at the end of January. This became a consistent signal on the model with some flips and flops on different runs. As we got closer to the second week of February, both the GFS and ECM started picking up on a subsequent stratospheric warming which would be more intense than the first and split the Polar Vortex into two. It was a similar evolution to that of the early 1985 warming (which funnily enough was at a similar point in the solar cycle to February 2018). The last week of February i.e. the Beast from the East period, started coming into view on the GFS during the end of that second week when the stratosphere had just completed its first warming and going onto the second one (which would reverse the zonal winds a second time). If it were to be similar now, we'd have to wait minimum to Christmas week to see any signs on model output of tropospheric responses. Keep in mind, one could say we're already seeing some signs of tropospheric responses from analogues and seasonal models such as the UKMO Glosea5 with the second half of Winter really promising for coldies. Look at my post below I did on 25 January (click onto the original post if you wish to see the charts in the post). Those open two sentences and the closing sentence, god I was such a tease! The question on our minds at the moment is that will the beast be unleashed in February 2018? When it comes to the bigger picture - i.e. my methodology I use to make my forecasts - it does look pretty compelling. The significant stratosphere warming (again not a SSW though) is still up for grabs in early February on the GFS runs, see the latest 12z for example below. Even the ECM is showing some warming going on in the stratosphere (though only at 10hPa and not at 30hPa at all). I will not put any bets (you should never do gambling on weather anyway) on the Beast From the East coming but what I can say is that something is certainly up in the air here. GFS 06z was another run that showed a split in the Polar Vortex. Let's see this theme continue. 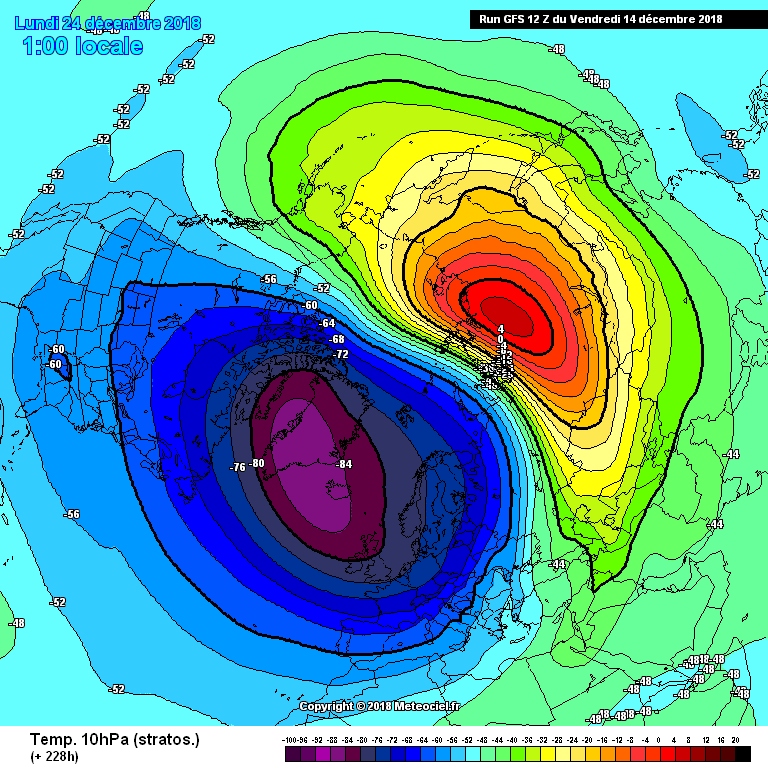 The model is showing warming propagating down to 30hPa in the stratosphere now too.